This is a gorgeous pendant! it has been made using red coral and turquoise chips and is certainly a statement piece! 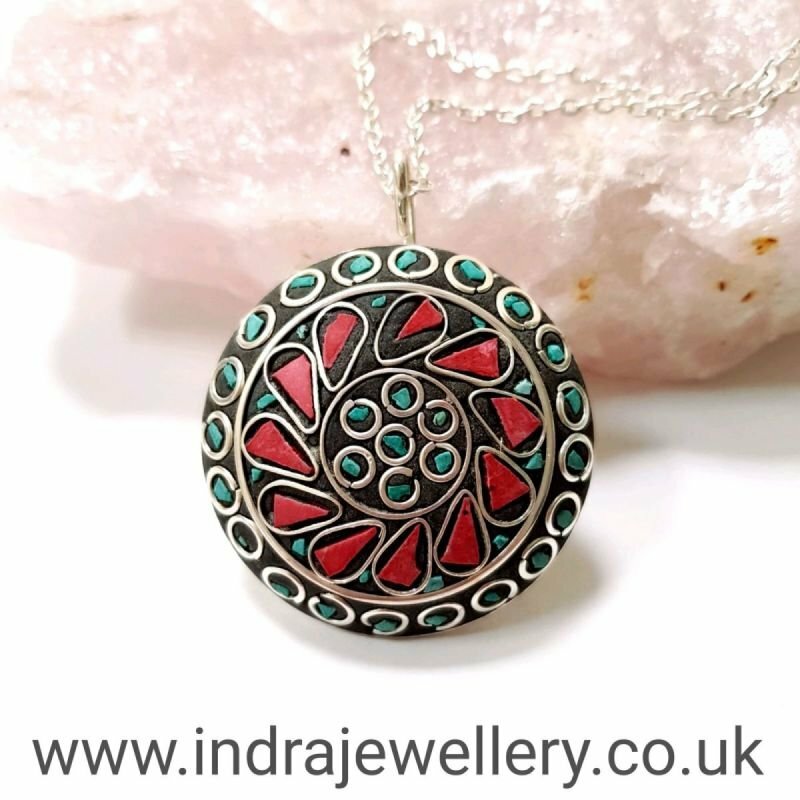 This pendant has a smooth tibetan silver back to it and is a beautiful addition to any outfit. The pendant is attached to an 18" silver plated chain with a lobster clasp. Red coral is said to prevent ill fortune and bring prosperity and luck!